This product is used to make full cutting or half-cutting or grooving on polished porcelain tiles, wearable ceramic tiles, rustic tiles, glaze floor and wall tiles. It can be used by single blade and multi blades. 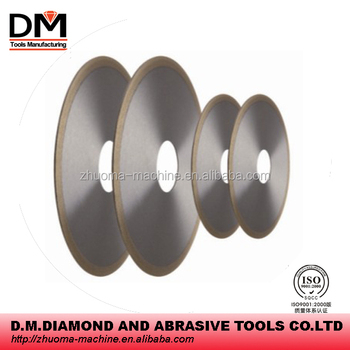 Our diamond cutting discs are approved for their good sharpness, smooth and flat cutting slots and no chipping. This product is normally used on single-head or two-head automatic cutting machines and manual cutting machines.